Double-crossing Russian General Ourumov is head of the Space Division for the Russian Army. Although he has had some close calls, his identity as a senior member of the Janus Crime Syndicate has never been suspected by the Russian authorities. In a time when Russia is struggling to regain power and respect on an international stage, Ourumov betrays the nation and hands its most powerful weapon over to the rogue Trevelyan. "Use the bumper - that's what it's for..."
Both cunning and deceitful, Ourumov has little time for the excess bureaucracy of the Russian security council and the painstaking meetings he must endure as a department head. Instead the General is engulfed by a superiority complex and is constantly scheming to make a vicious attack on the UK and with it, hopes for glory - failing that, immense financial gain. 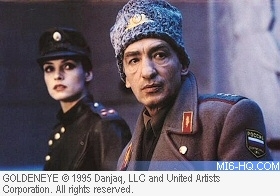 Ourumov works with assassin Xenia Onatopp to capture the high-tech French navy Tiger helicopter. The stealth chopper is then taken to the remote outpost that manages the "GoldenEye" project. Ourumov arrives at Severnaya under the pretense of inspecting the facility, but Xenia mercilessly dispatches of the entire team of programmers and astrologers. Ourumov is put in control of the investigation of the Severnaya incident, and transfers the blame by convincing the government that the disaster was a terrorist action by Siberian separatists. 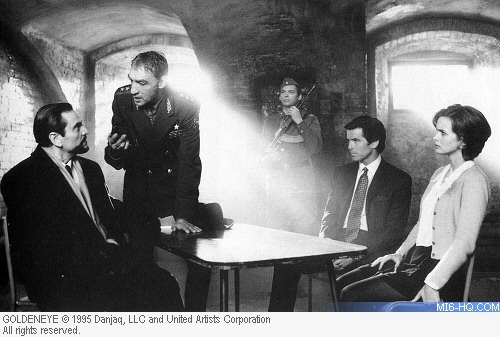 When Russian Minister of Defense, Dimitri Mishkin, gets wind of the generals crimes of treason and the existence of a second GoldenEye satellite, Mishkin attempts to put a stop to Ourumov's rampage but in turn becomes a casualty of the General's scheme. After taking Natalya Simonova hostage to escape both Bond and the Russians, Ourumov is killed by Bond in a tense stand-off on Trevelyan's train. "This is Colonel Ourumov. Come out with your hands above your head." Born in Berlin in 1942, Gottfried John has an impressive career, including on screen credits stemming back to 1962. 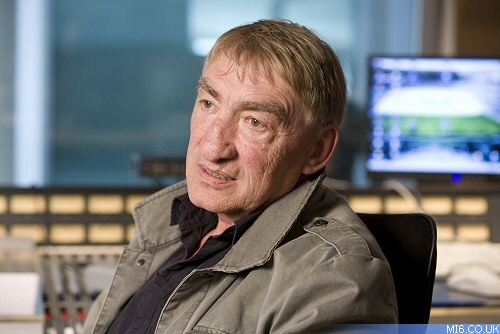 The majority of his work has been in German-speaking productions, notably "Berlin Alexanderplatz" - a fifteen episode epic miniseries which found international acclaim. "Defence Minister Dimitri Mishkin... murdered by British agent James Bond... Himself, shot while he was trying to escape. Guards!" 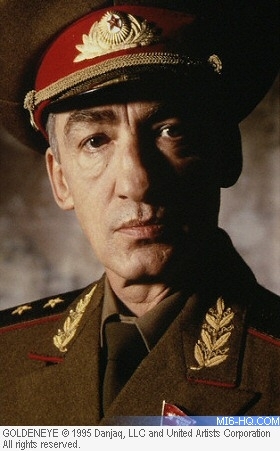 In 1981 he appeared in the German film, "Lili Marleen", which starred Italian actor Giancarlo Giannini (who would go on to perform the role of Fleming's Mathis in both "Casino Royale" and "Quantum of Solace"). John made a break into the UK market with productions such as "Game, Set, and Match" in 1988, in which Ian Holm starred in a series of adaptations of Len Deighton's writing. 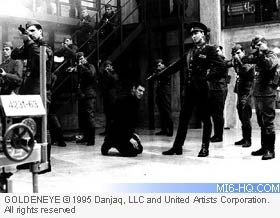 He gained international recognition for his role in "GoldenEye", the 17th James Bond film, before appearing in the TV series "Millennium" and the Gérard Depardieu starrer "Balzac" (1999). More recently he has picked up a few roles in Hollywood, including that of Eric Kessler in "Proof of Life" (2000) and "Flood" (2007), where John played opposite David Suchet and fellow Bond villain Robert Carlyle.